The shanty was sung to accompany certain work tasks aboard sailing ships, especially those that required a bright walking pace. It is believed to originate in the early 19th century or before, during a period when ships’ crews, especially those of military vessels, were large enough to permit hauling a rope whilst simply marching along the deck. With the advent of merchant packet and clipper ships and their smaller crews, which required different working methods, use of the shanty appears to have declined or shifted to other, minor tasks. “Drunken Sailor” was revived as a popular song among non-sailors in the 20th century, and grew to become one of the best-known songs of the shanty repertoire among mainstream audiences. It has been performed and recorded by many musical artists and appeared in many popular media. In some styles of performance, each successive verse suggests a method of sobering or punishing the drunken sailor. In other styles, further questions are asked and answered about different people. What shall we do with a drunken sailor The Drunken Sailor in Brazil? Hurray and up she rises, early in the morning! Performed by Rapalje Celtic Folk Music at the Odin’s Krieger Festival in São Paulo, Brazil. Best of Rapalje; our Double Live CD! This double CD is full of all the songs that make the heart of every Rapalje fan beat faster! Do you have a Rapalje Fyndlingh necklace? 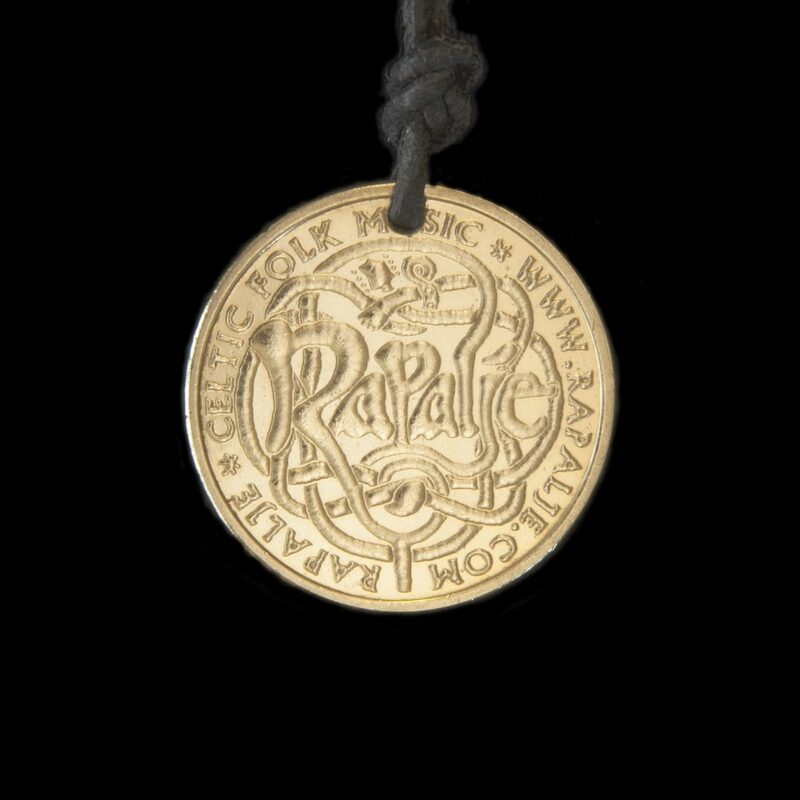 Have you seen our necklace with the Fyndlingh coin? With this coin you can also pay during the Rapalje Zomerfolk Festival. Now you can collect all 4. The front has the Rapalje logo, the back an instrument (bagpipes, violin, gitouki, harmonium) with our motto „Be Easy And Free“.